Welcome to our grip gallery. Each grip you see is exactly what you would get when you order it. These are actual pictures of each grip, showing grain and pattern of each set. If an item shows "This item is sold", then that particular set has been ordered and you must select from the other grips offered that do not show the "This item is sold" message. 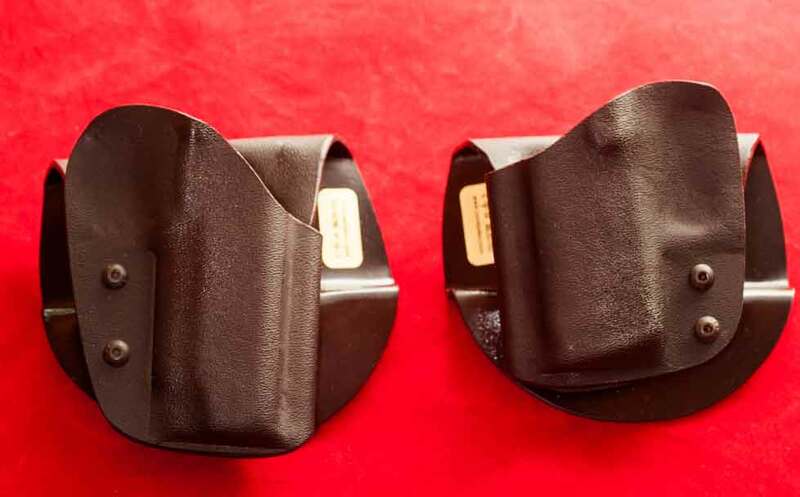 Kydex holsters from Center of Mass Tactical. We have a few left in stock. I have known about Alessi Holsters for many years. In fact I have purchased several for myself over the years. They are still my favorite holsters as they will conform to your body after carrying them for a while and I don?t think that you can ever wear one out. I have been thinking that I would like to carry a line of premium holsters but really had not thought too much about it. Many of the premium holster makers deal directly with their customers and only make custom versions of their designs. I was visiting with a gentleman at the Shot Show in 2013 and the subject of holsters came up. Turns out that he was a distributor for Alessi Holsters for years when he owned a gun shop. I mentioned that I wanted to carry a line of premium holsters and he offered to help me get set up with Tom Kulwicki who is now the president of Alessi Holsters. The Alessi Holsters are absolutely among the best handmade holsters out there. They were designed by Lou Alessi who was a police officer. He was not satisfied with the holsters available to him for duty and off duty carry and he knew he could design holsters that would satisfy the officer who had to carry a side arm every day on duty and off duty. The holster had to be totally functional, comfortable, and last indefinitely. Lou definitely achieved his goal. My thought is why buy a fine custom handgun or have yours customized to your specifications and then try to carry it in an mass produced holster that will never be comfortable and probably won?t last more than a couple of years of constant carry when you can buy an Alessi Holster that will be comfortable and last indefinitely. I have selected the most popular Alessi Holsters for the handguns that we most commonly build or customize to keep in stock. Those holsters that I don?t carry are marked as special orders. Just be advised that the demand for Alessi Holsters is high and delivery will take several months for a special order. I have stocked the Mahogany color holsters. Black is available as a special order as are left hand holsters. Thanks for your interest in Alessi Holsters. 100+ lumen Defensive Light for the S&W J-Frame Revolver. 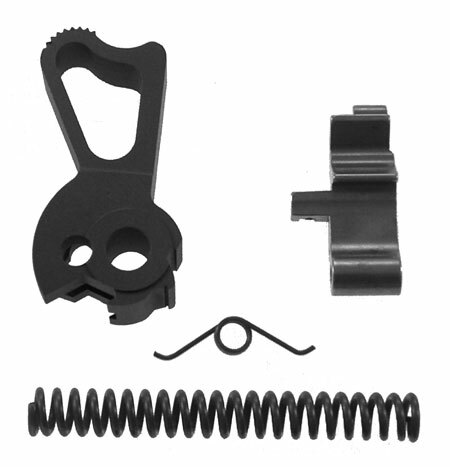 The Revolver Grip Light is the idea of Roy Huntington who in collaboration with Hyskore worked to bring this unique product to market. As a retired police officer and noted gun magazine editor, Roy saw a need for a reliable, powerful defensive light that could be easily mounted. The very popular S&W J-Frame Revolver was chosen for the simple reason that it is a much relied on revolver for personal and home protection. By simply replacing the standard grips with the Grip Light the owner now has the ability at the touch of a button to instantly illuminate his immediate area with a 100+ lumen bright light. This gives the shooter the advantage of not having to hold a flashlight thereby freeing up a hand. Plus with the light already being attached to the revolver you will be ready for any situation at a moments notice. Check out all of the savings in our Close Out section.